As the holiday season approaches, accessories are always on my radar. In need of something to perk me up from the dreary weather, I usually find myself gravitating to a bedazzled shoe or a statement earring. 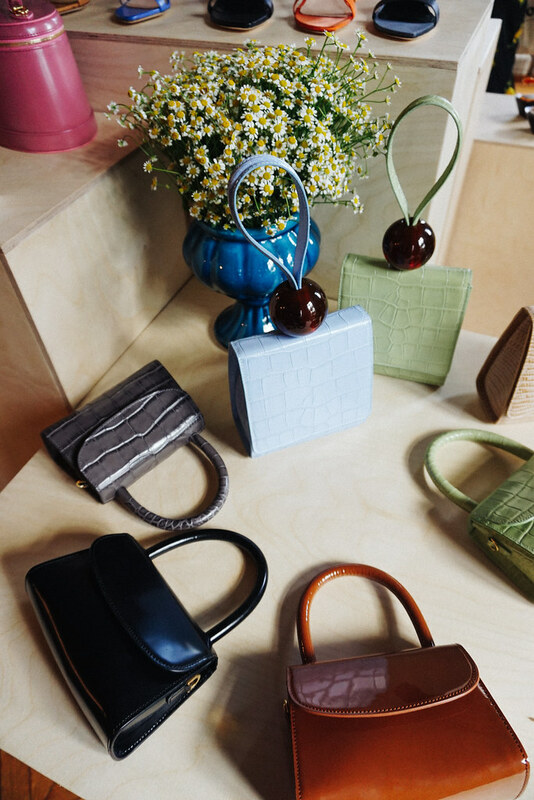 But for my dose of festive cheer this year, I’m leaning towards handbags – specifically the proliferation of oh-so-cute miniature versions from Staud, Jacquemus, and ByFar et al. Sorbet shades are calling my name, but I’m also into textural elements like velvet or croc print. These babies feel like the perfect exclamation point on my party season wardrobe. The thought of finding a different sparkly dress for every work party/soiree with friends/date night/visit back home just sounds like entirely too much hard work. Instead, these nifty little accouterments satisfy my desire for something playful and will be useful long after the silly season draws to a close. So you’ll find me over the next few months with a cocktail in one hand and a teeny tiny handbag on the other. A friendly reminder that you probably don’t need to be carting around your whole life in a purse, particularly to a party. Why not lighten the load? The perfect antidote to the winter blues is in my clutches.